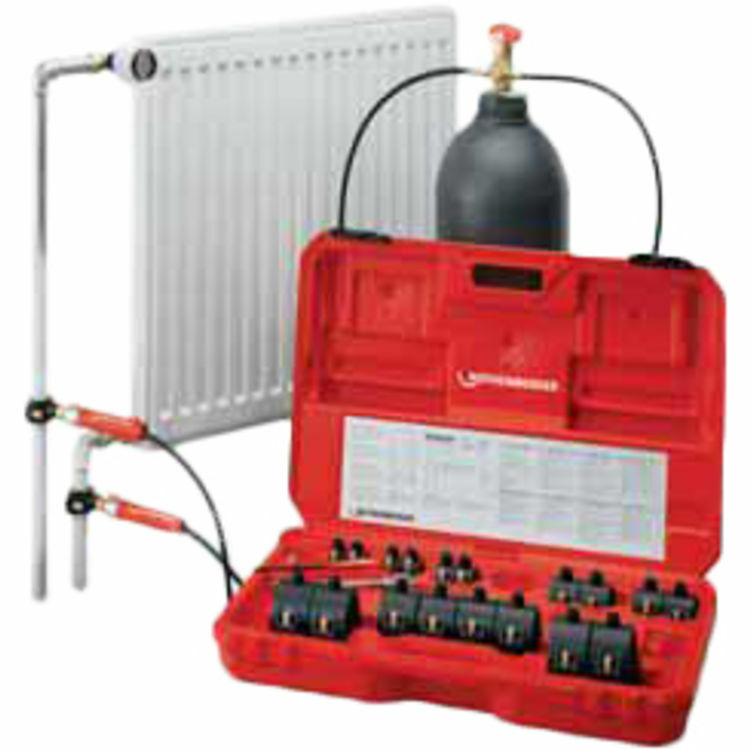 The Rothenberger 65030 ROFROST CO2 Pipe Freezing Set is a genuine Rothenberger product. This manual freezing set is designed for quick, easy, and CFC-free freezing, using carbon dioxide, of copper pipes (1/2" - 2-1/8"), steel pipes (1/8" - 2"), plastic pipes, and multilayer composite tubes. It includes 2 handles with feed valves, 2 high-pressure hoses, 10 freezer heads (2 for each pipe dimension), a T-piece for bottle connection, a stopper for one-sided freezing, a wrench, an internal hex screwdriver, and a heavy duty plastic case for easy transportation and storage. copper pipes: dia. 1/2", " 2-1/8"
steel: dia. 1/8", " 2"
Works great. Only issue we had was the instructions are a lite vague. And doesn't come with an approximate freeze time chart. We had to Google a time frame . Setting it up right now to use in morning.